Grabbing a bite at work can be a real pain. You’re either picking up the same tired old sandwich from around the corner or queuing for ages during the lunch hour rush – often in pouring rain or scorching heat. 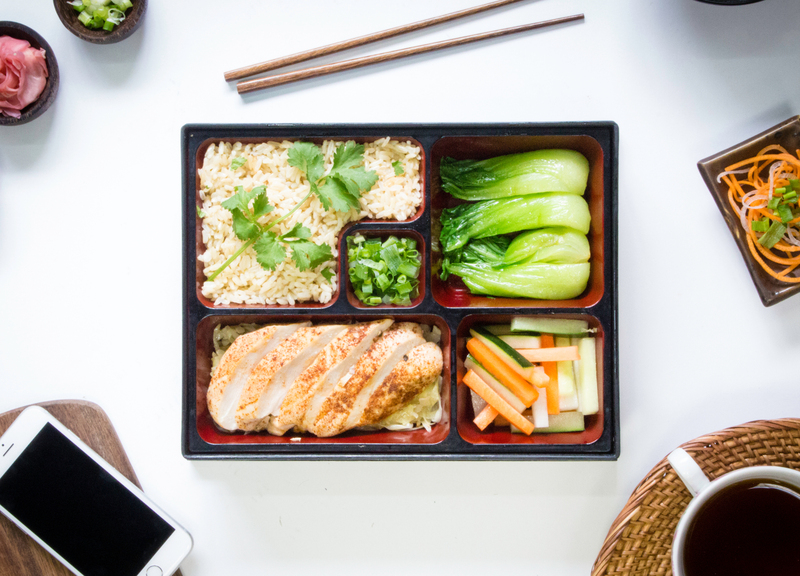 Thankfully, a tidal wave of new lunch delivery startups has hit town, making it easier than ever to get healthy, balanced meals delivered straight to your workstation with just a few clicks. 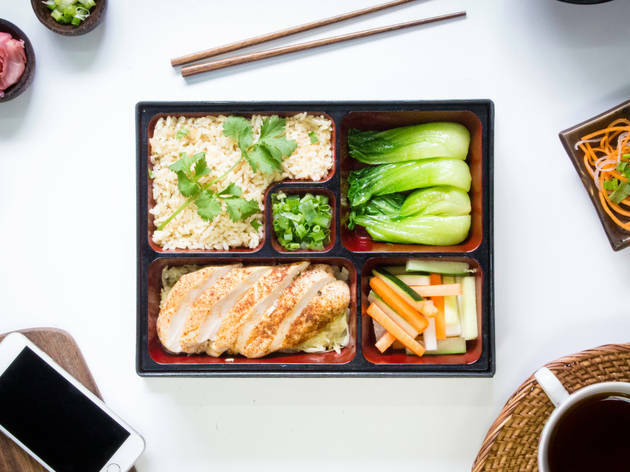 Next time you need to fill your stomach while powering towards a deadline, check out these office meal services. 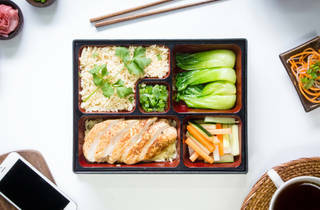 For a nutritious midday energy boost, Cadobox has got your back with its seasonal, detoxifying lunch boxes that cost between $50 and $80. Try the summer chicken salad, which contains quinoa and mint leaves for a refreshing kick on a warm day. To order, just shoot them a message on Facebook or WhatsApp and the extremely responsive staff can tell you what’s on the menu. Cadobox currently delivers to Central and Sheung Wan between 11am and 2pm and has plans to expand into other neighborhoods in the near future. Hongkongers have an insatiable appetite for Cantonese barbecued meats, which explains Good BBQ’s devoted following. 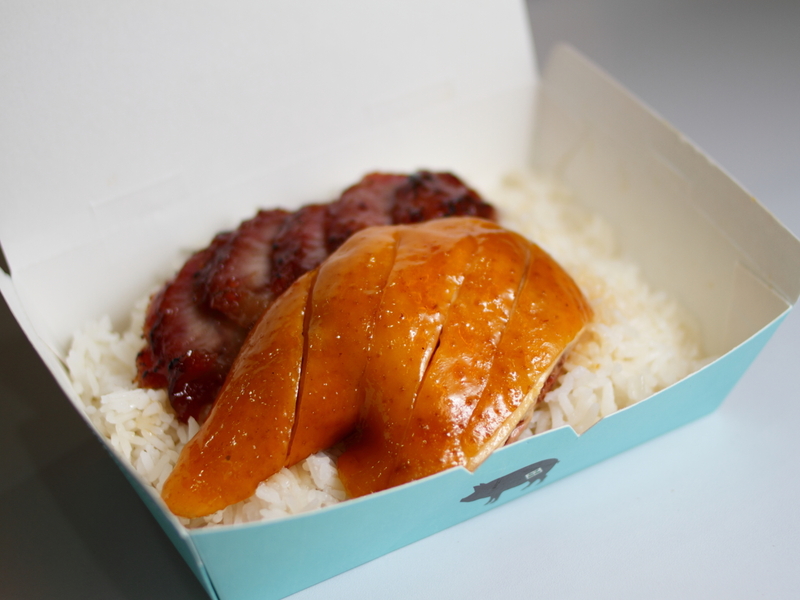 Founder Sandy Keung turned a siu mei shop in Central into a savvy food startup that takes delivery orders over WhatsApp. She’s since opened outposts in Admiralty and Ngau Tau Kok. With meals priced between $36 and $48, Good BBQ’s signature lunch box comes with char siu over rice and silky, rich onsen eggs. The pork here is cooked sous-vide with no artificial colourings added, making it a healthier alternative to traditional barbecue shops. Paleo Taste was founded by Brazilian-born Priscila Romeiro Moynihan. The daughter of two chefs, she discovered the paleo diet – which cuts out refined foods, dairy and grains in favour of the nuts and protein available to Paleolithic humans – from her CrossFit instructor. From that spark, her enthusiasm for the paleo lifestyle quickly developed into a passion. 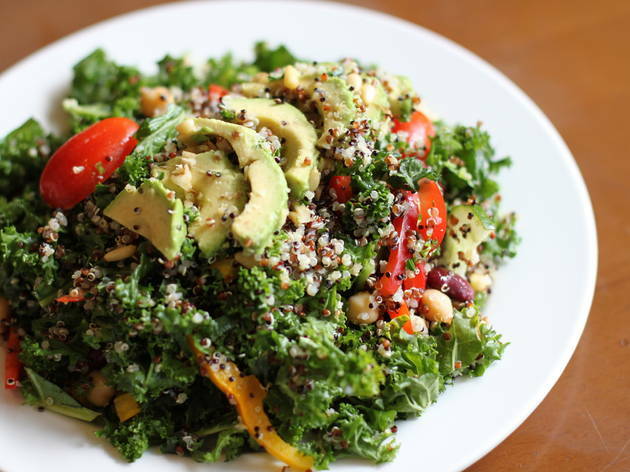 Paleo Taste’s mains cost around $80 and deliveries take place on Mondays and Wednesdays. 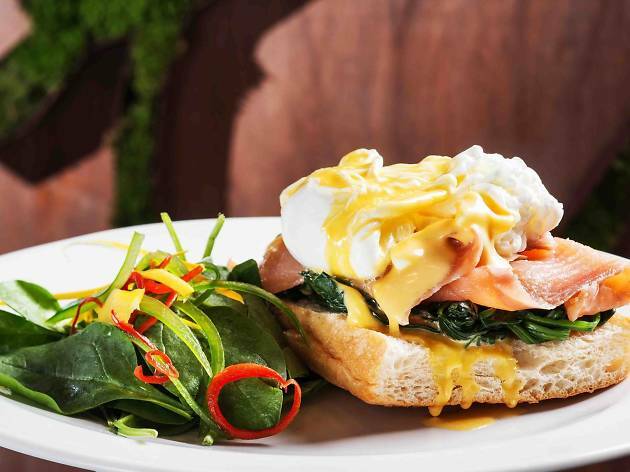 This is a fantastic, high-protein option for those looking to recharge after a hitting the gym. Foodieetcetera wants to make it possible for Gordon Gecko types to eat artisanal home-cooked food without straying from the office. 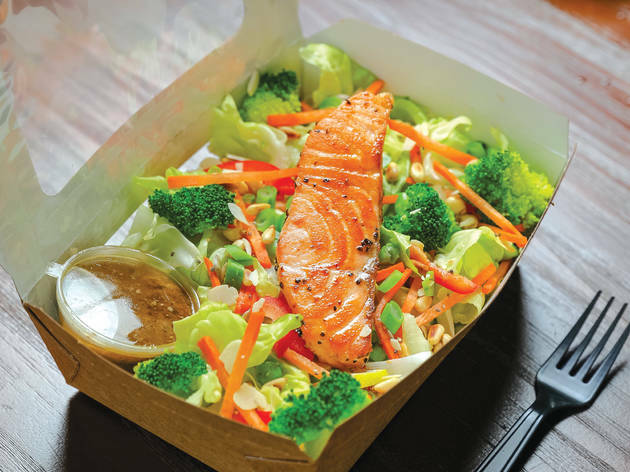 This new startup delivers premium lunch boxes to addresses throughout Central, offering diners spicy Thai beef tenderloin salad and a coconut salmon with flaxseed and a mint cilantro yoghurt dressing. The ingredients consist of high-quality lean meats and veggies, with all dressings and sauces made in-house from fine oils and seasonings. Meals cost $65 to $90 – don’t forget to place your order by 5pm the day before. Here to save the day, MySuperPal offers an array of fresh, health instructor-approved salads, such as silken tofu with sesame dressing. 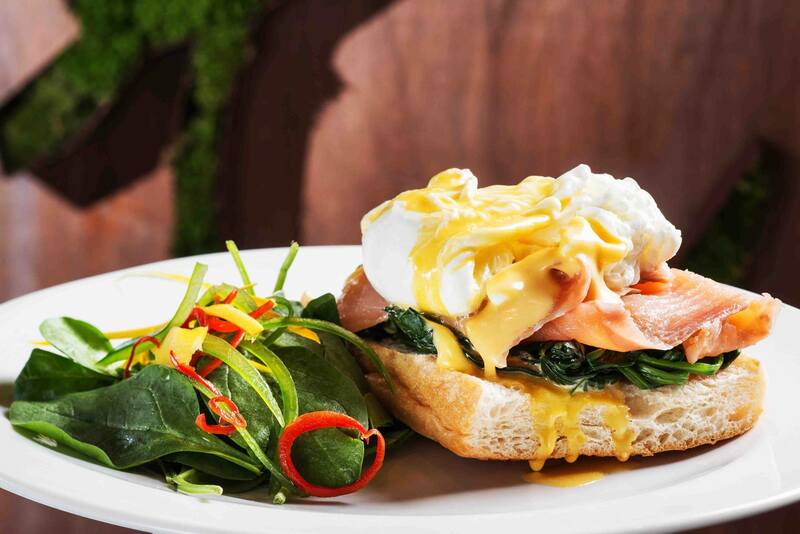 Detailed nutritional breakdowns of each dish can be found on the website, where you can top up your order with a range of beverages like cold-pressed juices and superfood-infused alkaline waters. Meals average around $75 and orders must be placed at least two days in advance. 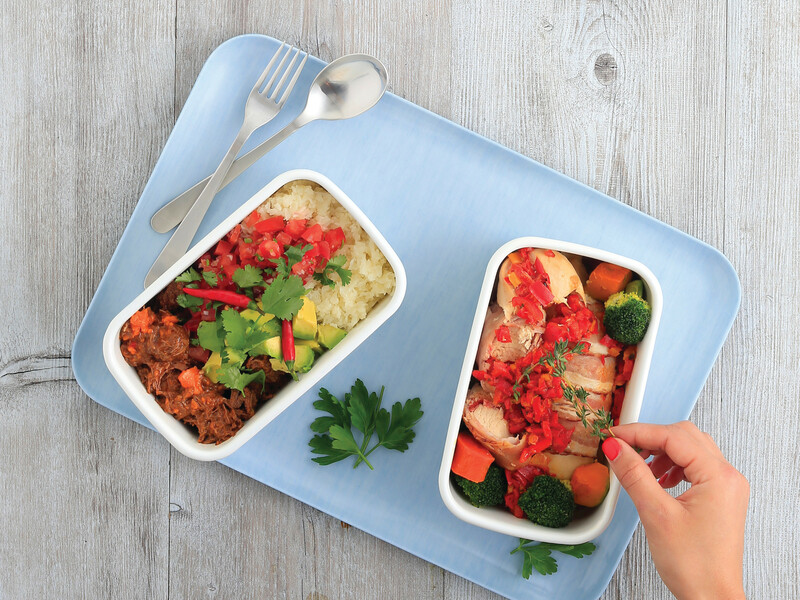 Brainchild of Swedish fitness instructor and nutritionist Martin Lorentsson, each dish of this service is designed to deliver clean, healthy and regular fuel to Hongkongers who simply don’t have time to cook. You can order on-demand or alternatively, opt into a set meal plan for up to 20 days. 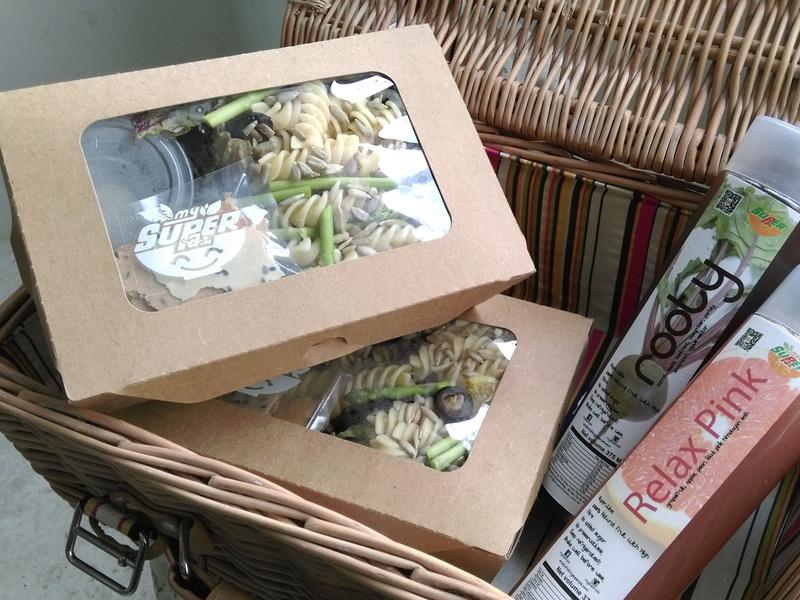 Currently delivering to areas between Sheung Wan and Causeway Bay, Eat Right also caters to a wide range of dietary needs.